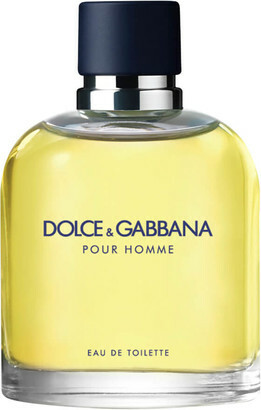 Discover Dolce & Gabbana Pour Homme Eau de Toilette; the brand's classic scent based on the elegance and style of the Italian man. Pour Homme blends hints of Mandarin and Bergamot with fresh Lavender, spicy Pepper and Sage, before settling on a captivating base of Tobacco, dry Cedarwood and sweet Tonka Bean. Charismatic, masculine and seductive, the fragrance is presented in a signature glass flacon with a large blue cap and silver-toned collar. Top Notes: Neroli, Mandarin, Bergamot. Heart Notes: Lavender, Sage, Pepper. Base Notes: Tobacco, Cedarwood, Tonka Bean.